A recent study found that 1 in 10 UK adults have no savings whatsoever. When you consider all the potential emergencies that could arise, that's a concerning figure. Whether you fall into this statistic or you're concerned that you could, developing strong, financial habits can help set you up for future success. Do you want more money in your pocket? Do you feel like you can't save money- no matter how hard you try? Let's get into how to spend less and save more. Budgets aren't punishments. They're tracking tools that allow you to optimize how you save and spend money. And nowadays, it's simpler than ever to create an effective budget. If you make a fixed salary, this is an easy formula. You simply add how much you make each month from your paycheck. However, don't forget to include supplementary income, dividends, side jobs, rental income, or side jobs. First, you must determine how much money you spend each month. You can manually count this figure by consulting through old receipts or bank statements. Or you can download a budgeting app that synchronizes with your accounts. You will need to determine fixed vs. variable expenses. Your fixed expenses refer to your monthly or annual costs (i.e., mortgage, health insurance, car payment). Your variable expenses refer to fluctuating costs (i.e., groceries, clothing, entertainment). From these numbers, you can determine your average monthly expenses. That said, you should add an extra 10-20% for cushion. If you want to stick to your budget, you need to identify why creating one is important to you. Are you trying to get out of debt? Save for a home? Plan for retirement? Staying mindful of the big picture can help you stay on track. It will make it easier to resist temptation and forgo impulsive purchases. Make saving for your future a priority. At the bare minimum, it's wise to have an emergency fund. While experts vary on how much you should save in your emergency fund, 3-6 months' worth of expenses should be sufficient. When you have an emergency fund, you reduce the risk of needing to take on credit card debt or loans. Thus, it provides invaluable peace of mind when preparing for the worst case scenario. Commit to stocking away a set percentage of money from each paycheck. Even if you can only commit to 10%, that's a good start. If you have direct deposit, you can usually request that your employer automatically deposits a percentage of your paycheck into a savings account. Or you can just make it a habit of doing it yourself once receiving the money. If you're carrying personal debt, transferring it to a 0% APR balance can help you pay off the debt sooner and save more money. Many credit cards charge extremely high-interest rates- upwards to 20-30% depending on your credit score. These high figures can make debt feel like a never-ending cycle. If you're approved for a card that provides 0% balance transfer offers, take advantage of the opportunity. You simply transfer over your higher-interest debts and pay down the balance without acquiring more interest. Many people struggle with saving money because they don't know why they're saving. After all, it may feel ambiguous to plan for retirement when it's 30 or 40 years away. That said, having specific goals can help you feel motivated. For example, instead of saying, I want to save money, think about how much you want to save. Maybe you want to save $300 a month. Maybe you want to save to buy a car by the end of the year. Create weekly, monthly, and yearly goals and write them down. This creates an inherent sense of accountability, which motivates you to stay on track. Assess routinely and celebrate your successes. If you don't meet your goal, examine where you need to improve or what you need to try differently. Saving money is essential to building healthy financial habits, but if you aren't earning enough income, it will always feel like a struggle to prioritize your purchases. Many people are underpaid because they feel afraid or guilty to ask for a raise. With that said, asking for a raise is a normal and expected part of a job. Avoiding it can lead to you potentially sacrificing a lucrative amount of money. Know what your work is worth. Do some research to determine how relevant your current salary is in your industry. Factor in how your business structures salaries for its employees. Throughout the year, keep track of the milestones you accomplish. Write them down. Having concrete examples will make it easier to ask when it's the right time. The 9-5 work culture is changing. In the UK, there are now nearly 5 million self-employed individuals. A side hustle can help supplement your regular income. It can also provide a much-needed mental break during your structured day. Obtaining a degree or advanced degree can pay off dividends during your long-term career. Many jobs offer generous salary bumps or managerial pathways with specific degree requirements. Of course, you should outweigh the financial benefits and drawbacks of taking this option. School can be very time-consuming and expensive. You need to have the discipline to commit to this plan. One of the ways of "going back to school" in order to get a pay rise, promotion or change your job is taking online courses that'll help you rise your competence. Have a look at Udemy, an online platform selling professional courses for very little money. Every few weeks they're giving huge discounts on their courses. If you're still paying full price for the items you buy, you're wasting significant money. Nowadays, many strategic methods can help you save money- without having to sacrifice your time or efforts. Research shows that people who shop with lists tend to save money. Your list is direct and matter-of-fact. There's no guesswork involved. With a list, you'll feel less tempted to purchase items that you don't need impulsively. You'll also have a sense of direction for getting in and out of the store quickly. 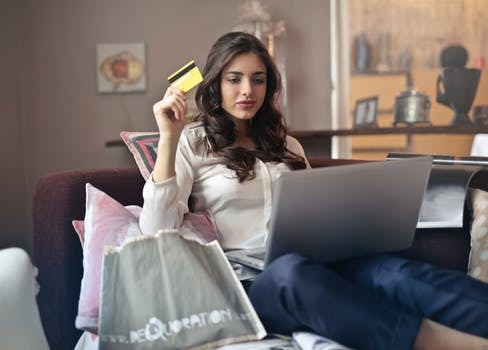 From restaurants to airline miles to clothing boutiques, many businesses incentivize loyal customers by providing exclusive discounts and rewards. Typically, you can sign up with just an email address, social media account, or phone number. You'll often receive a free item or discount upon signing up. There's a good chance that you're active on Facebook, Twitter, or Instagram. If you use these channels, they can save you money. Start by following the brands you like. Many businesses use their social media platforms to advertise exclusive deals or release early information about their promotions. Many online aggravators and tools allow you to shop around and hunt for the best price. Good deals come to those who are patient. By delaying your purchase, you can save anywhere from 10-50% on certain items. Many businesses lure consumers into buying products or services they don't need by offering an irresistible sale. Don't fall for those scams. You'll end up spending more money than you intended. Learning how to separate your needs from your wants can be a difficult skill. It requires intention, patience, and practice. If you struggle with impulse control, consider committing to the 72-hour rule. If you find something you like, give yourself three days to return to the product. If you still want it, you can purchase it. Most people find that they lose interest in those impulsive desires within a few days. For your favourite popular retailers, you may be able to buy gift cards at a discounted rate from third-party sellers or other stores. Even if this only saves you a small amount of cash, it's beneficial if you planned on purchasing from that retailer in the first place. Furthermore, if you have unwanted gift cards, there are many online vendors where you can sell them back for cash or other incentives. If you want to have more money in your pocket, you need to prioritize your financial well-being. After all, you owe it to both your present and future self to take care of the hard-earned money that you make! At BuyVia, we are passionate about providing the best discounts and coupons for our customers. Learn more about how our massive discounts today.